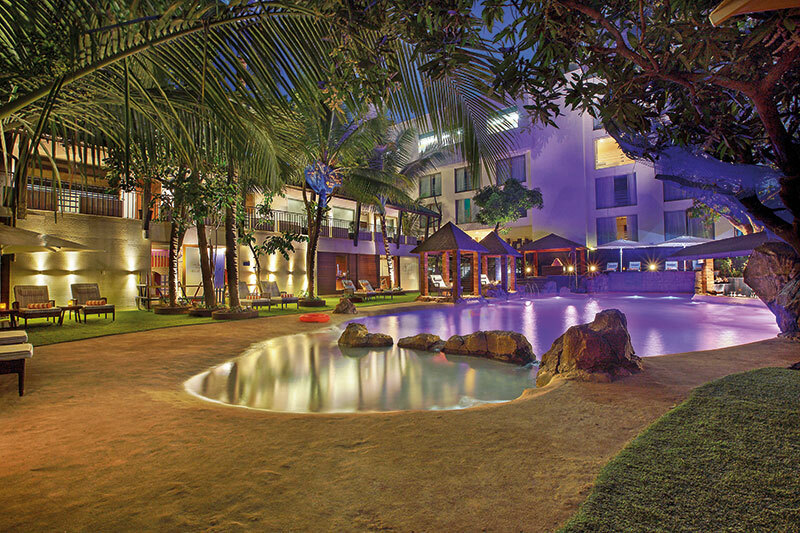 Amid the buzz of India’s favourite beachy haven, local Goan culture and ethos meet contemporary sophistication at Novotel Goa Shrem Hotel’s newly opened club wing. 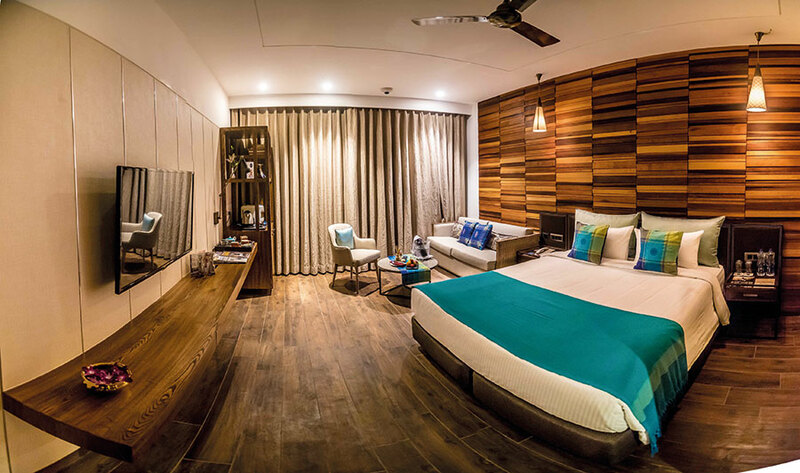 Located in North Goa, it serves as an idyllic getaway, perfectly blending style and comfort. Each of the 430-square-foot rooms is wood-finished and comes with a beautiful balcony overlooking either the property’s serene pool or the hillocks of the greenest belt of Candolim, boasting minimalistic design and equipped with 42-inch LED TVs, 300-thread-count cotton linen, organic tea options and well-lit bathrooms with Novotel toiletries. There’s something for everyone — a casino, an all-day dining restaurant, 24-hour in-room dining, a pool bar, a lobby lounge and deli, cycles on rent, an Apple iMac corner and an interactive kid’s activity room. Guests are greeted by the ‘exclusive wing genie’ — the first point of contact when checking in — who personally customises every stay and experience. On learning of your preferences, she offers recommendations from eateries to party destinations; you name it. Spend an animated or intimate evening by the pool, with great music accompanying delicate mouth-watering food by culinary specialist Ganapathy Mallya and innovative cocktails by Siddharth Noronha. Relish the all-day on-order breakfasts as you sip on luscious Arabica coffee or chamomile tea at the deli, The Little Place, followed by a trip to the local market with hotel chefs, where you can pick your fish to later cook in your own preferred style at the live kitchen. The high-speed Wi-Fi available throughout the hotel will help you stay connected with family and friends. An all-encompassing getaway, the hotel leaves one enraptured at every step, offering opportunities to explore buzzing night markets, ethereal spice plantations, Old Goa charm, wild and aquatic experiences and awe-inspiring architecture, after which the sound of the waves at Candolim beach welcomes you back to your abode for the time being. In the lap of luxury, the spirit of Goa awaits.